Some of us don't have the time or money to consistently get facials, although they are extremely beneficial for your skin. I'm going to give you some easy step by step instructions for a beneficial facial, you can conduct in your own home. I recommend doing this monthly for the best results. First off, I have to say it is extremely important to clean your skin morning & night with an appropriate cleanser. Also, moisturizer is key for all skin types, even oily skin needs hydration. Exfoliating is very crucial too. 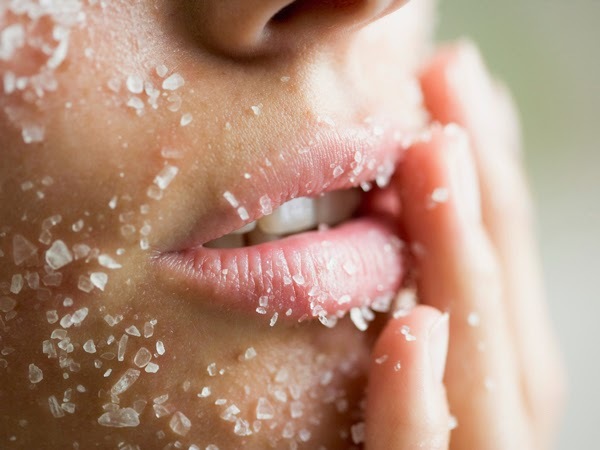 Everyone should exfoliate at least 2 times a week. Once you begin your 20's, your skin stops exfoliating on it's own. Eye cream or eye gelee is important too, 16 year olds should begin using eye cream. Seriously. If you have certain concerns such as fine lines, pigmentation, and/or sagging, it is easy to find the appropriate products to aid in correcting or minimizing these concerns. I personally have been using serums for many years, as they penetrate deeper into the skin, offering better results. 1. Fill a large pot with water, place on your stove, & bring the water to a boil, then simmer on low. Grab a bath towel & keep it near by. 2. Remove any eye makeup with an eye makeup remover. Please do not use baby oil or vaseline. These are not appropriate for removal, as they can seep into the eye & irritate. They can also clog pores surrounding the eye area, creating break outs. 3. Cleanse your face, neck, & décolleté thoroughly & remove with a warm, wet washcloth. 4. Tone your skin if you have a toner. Toner helps regulate the pH in the skin & also allows for better product efficiency. 5. Exfoliate your face, neck, & décolleté with either a fruit acid exfoliant, beaded exfoliant, or facial brush. Always use light circular motions & stay away from the eye area. Then remove exfoliant with a warm, wet washcloth. 6. Tone your skin & head over to your steamy pot of water. Lean over the pot keeping 12 inches from the pot & hold your bath towel over your head & face, locking the steam in. Steam your face for about 5-8 minutes. Steaming is crucial for opening pores & allowing gunk or build up to be removed easily. If you plan on removing any black heads, this is the time to do it. Please be mindful, cover your index fingers with damp cotton squares & be gentle. This should be conducted by a professional but we all know that may not always be the case. 7. Apply your mask appropriate to your skin type on the face, neck, & décolleté. Let sit for 10 minutes. Remove thoroughly with a warm, wet washcloth. Tone again. 8. If you have facial oils & aren't heading anywhere for the day, apply your facial oil using light circular motions, as to lightly massage the skin. Do not remove. If you do not have a facial oil or are heading out later, apply your appropriate facial serum to face, neck, & décolleté. Always apply lightly, using gentle sweeping motions, then pat into skin gently. Do not rub. 9. Apply your eye product of choice & apply with your ring finger gently. The skin around the eye area is very delicate & thin. Tugging, rubbing, or using force can create lines & wrinkles or even irritate the eye area. 10. Finish with your moisturizer on your face, neck, & décolleté. Use light sweeping motions moving from the bottom up or gently pat into skin.